Fremantle’s iconic Esplanade Hotel is for sale! The historic hotel which opened in 1897 is on the market and is expected to attract offers of around $ 110 million. The 300 room hotel was sold by long-time owner Marylyn New only six years ago in 2012 for just $ 90 million. The Esplanade Hotel has been refurbished and restored and is receiving most of its revenue from tourist accommodation and conferences. It is being sold with a 3043sqm site opposite the hotel at 7 Essex Street, that has 172 parking bays, and a 78sqm leased retail tenancy and a 314sqm office. I am not sure if Marine House, opposite the hotel, has been sold yet. It was put on the market about half a year ago. CBRE’s Aaron Desange, Ryan McGinnity and Chloe Mason have been appointed to sell the hotel, so if you got a hundred million dollars under the bed, contact them. The Fremantle Esplanade Reserve has not looked this good for many years and the challenge for the City is now to keep it that way and don’t let the expensive surface upgrade be destroyed by too many large events. It is also important to get the new Masterplan for the Esplanade right, and also the one for historic Princess May Park. Connectivity and way finding are the buzz words that have substituted placemaking, and instead of looking well after our parks we are getting so called parklets with a few plants. Planned paths through the Esplanade and Princess May should not be the cheap and common concrete ones but creative paving, maybe even some cobblestone at Pioneer Park? I do understand that we all want to keep our green areas but I also accept that in our hot climate large grass areas are difficult to maintain and need a lot of water. There is a need for compromise and that should be more trees, more shade for people, more protection from the sun for grass, and trees and large bushes create a nicer overall amenity than just vast areas of lawn. It did cost a hell of a lot of money to make the Esplanade look great again, so let’s see if it will be protected better or if the City of Fremantle just wasted ratepayers’ money by letting it be damaged again. 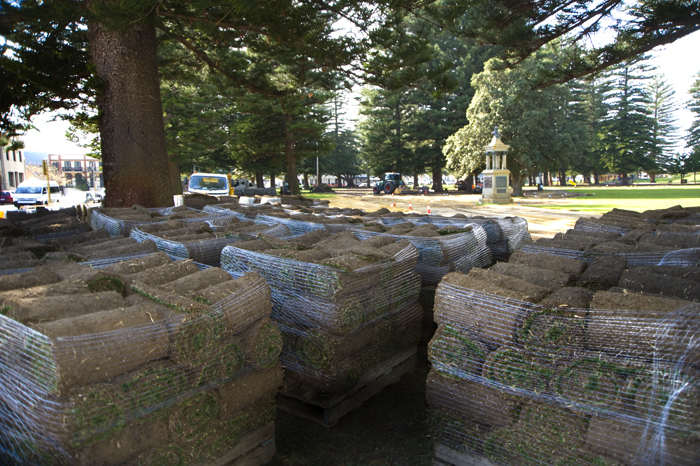 Fremantle ratepayers subsidised the WINTER GARDEN Festival with a staggering $ 92,000 dollars for the repair of the grass surface of the Esplanade Reserve! The total cost was $ 117,000 and the festival operators only paid $ 25,000 toward that. The rest was paid by Fremantle City. It is quite unbelievable that the City of Fremantle subsidises a commercial enterprise to that extend. Let’s do some figures here. The Winter Garden reports they had 100,000 visitors. Let’s make tickets for the icerink an average of $ 25 and the turn over for ticket sales alone would be $ 2.5 million! On top of that the takings of the bar etc. This is only one of the far too many events on the Esplanade, so what were the costs of cleaning up after the Laneway Festival, Chilli Festival, Beer Festival an other major events, and what did it cost the City of Fremantle, and how much did the event organisors pay towards the cost? These are questions the City of Fremantle needs to answer as the ratepayers and residents have a right to know how our money is spent! The spin that it would have brought enormous economic benefits for Freo traders can be taken with a grain of salt I would suggest. A BID survey found that from those businesses who responded 44% had an increase in turnover during the Winter Garden festival, 74% said they thought it benefited Fremantle and 80% would like it to return next year. But I do not have the figures on how many businesses actually responded to the survey and that would be important to know to give value to the survey. Plans for next year are to put the Winter Garden icerink on the carpark at the Italian Club near the Youth Plaza, but we should still be told how much the other events cost to repair damage to the Esplanade. Facebook: ROEL FOR FREO! Beaconsfield Ward. Truly Independent. Written and authorised by Roel Loopers. 5 Maxwell Street. Beaconsfield 6162. HOW CAN WE IMPROVE OUR GREEN URBAN SPACES? 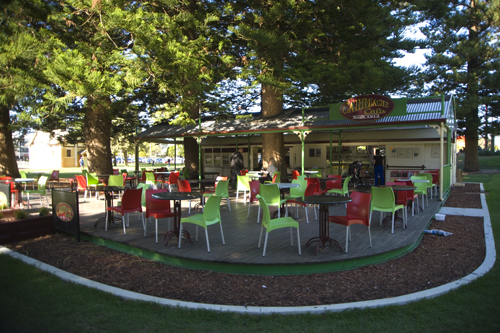 Friends and I were talking on the weekend about the Fremantle Esplanade reserve draft Masterplan and the problems associated with accommodating people enjoying it, allowing for events to be staged on the reserve, and looking after the grass and trees. We wondered if large green open spaces are still sustainable in our changing climate where we receive a lot less rain than in the past and have a dryer and hotter climate to deal with. Most people don’t want more concrete in parks but designated walkways on the Esplanade, which will protect the grass, and extending the mulched areas under trees, seems to me to be a sensible proposal. It would also require less water for reticulation, so that would be an added bonus. 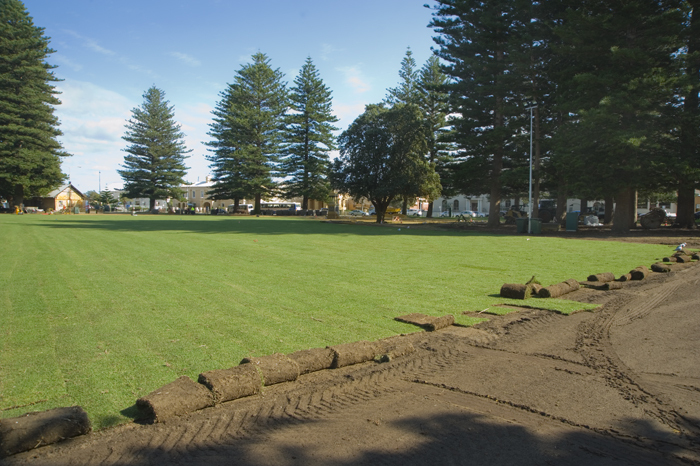 We have a fast increasing population in WA and plans for thousands more residents in the Fremantle inner city, and that means more people will need access to outdoor facilities, but can our society still afford to look after large green grass open spaces that require extensive and expensive watering and maintenance? Most of us probably believe that densely populated cities need more green open spaces to allow those who live in apartments access to grassed areas to play on and have a picnic, etc, but is that still practical and realistic, or should we look for alternative ways to create public spaces, and what would such new spaces look like? In a state where there is water shortage we can no longer afford to waste drinking water on the reticulation of vast lawns, so can we recycle water and use grey water instead, and where to take it from? The Esplanade Masterplan draft suggests an underground tank to take used water from Little Creatures to water the reserve, and that might be a practical solution, depending on what the costs would be to install and maintain the system. I am not a greenie, but there is no doubt in my mind that climate change will force us to do things differently and better, and that could mean fewer private grassed gardens and green verges and quite different public open spaces that recognise the need to reduce water consumption. No one likes to see more concrete, but paths throughout parks that protect the grass, and mulched areas under trees, are acceptable compromises to make sure our urban nature remains healthy for all of us to enjoy longer. Paved paths are also easier to use than grass for disabled people and wheelchair and gopher users, and for parents with prams. To assist with reducing water use we should also call for our governments to implement a law that requires new residential buildings to have a water tank for the collection of rainwater. When many thousands of household collect their own water, even if what they collect would only lasts for a month or two, would make a significant impact and create less strain on our water supply. Gardens and parks are beautiful and we need those green lungs and many more trees in our cities, but native vegetation that requires a lot less water needs to be considered more and we will probably have to accept that huge grass areas are no longer sustainable in our present climate. I am not a big fan of artificial grass, but is it something our governments should consider as an option? What do you think we could change and improve when designing new public open spaces? The Special Projects Committee of the City of Fremantle was interesting last night and it made me wonder how far ahead we should expect our governments to plan. It came as a surprise to me when the officers pointed out that at some stage in the future, because of rising sea water levels, the Esplanade Reserve could get flooded. Is that too far away to take into consideration now I wonder, or should we raise the level of the park? But if we raised the level water would have to go somewhere the officer warned and that might be running back toward the CBD. An interesting challenge for Freo Council. Councillor Sullivan questioned where the events would go if moved from the Esplanade, while Councillor Pemberton asked what the healthy balance for the grass would be and how many events should be allowed to take place there and at what intervals. It is strange that this question gets only asked now and during the debate about a new Masterplan as that should have been considered a long time ago. Maybe the officers could take more leadership here and tell Council what it takes to keep grassed areas in parks healthy and how many events per year the surface can cope with. The eventual relocation of the Carriage Cafe is still years away, if it ever happens and if the community is happy with it, but one of the reasons, that dropping limbs from the 110-year-old trees would endanger the safety of cafe patrons, made me ask the officer after the committee meeting if the trees around the playground were not of similar age. Planning officer Ian James told me they were and the City needed to keep an eye on them. It seems strange to me that the draft Masterplan does not specify that the playground, where hundreds of kids play on weekends, should be relocated to ensure the safety of the children and parents. Interesting to note also that the proposed Masterplan considers extending the park all the way to the Shipwreck Museum. 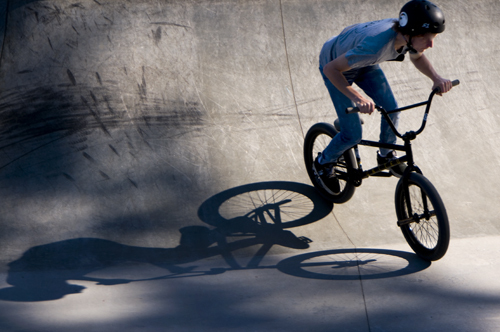 When I suggested during the Youth Plaza consultation that the carpark at the museum could be a good alternative location for the skatepark it was dismissed out of hand. FICRA resident Chris Grisenwood rightly pointed out to me that we have now asked for years to have many of the things in the draft Masterplan and making it into an A Class Reserve is another one of them, including circulating events to other locations to put less stress on the park. Six weeks community consultation, deep listening and common sense will hopefully make the new Masterplan a good document for the future of the Esplanade. 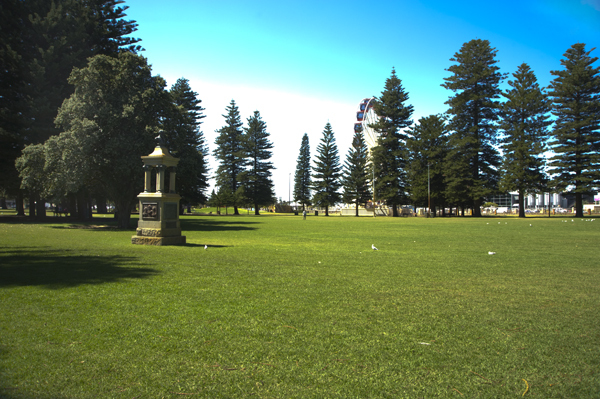 It is the playground for all of Fremantle and beyond and an important green lung for the inner city.